For many people, October marks the start of a determined bid to quit smoking once and for all. Here’s how to succeed. Smoking accounts for more than 8,000 deaths a year in England alone, so making the decision to quit is certainly the first step on the path to a healthier lifestyle. And now that October has rolled around again, more and more people will be making this decision thanks to Stoptober. Running throughout the month of October, the Stoptober campaign was first launched in 2012 by Public Health England, and millions of people have taken part every year since. The premise for the campaign is that, by abstaining from smoking for 28 days, individuals are five times more likely to quit smoking for good. To date, Stoptober has driven over 1 million attempts to quit smoking, making it the biggest mass quit attempt in the country. So if you are trying to stop smoking, now is the perfect time to do it. What support does it offer? Stoptober offers a huge amount of materials and support which partakers can take advantage of, helping them feel as though they aren’t suffering the quitting process alone. The Stoptober app allows you to track your progress, see how much you are saving and get support. E-cigarettes: a great way to avoid the effects of inhaling tar. While research into E-cigarettes is still in its infancy, it is believed that vaping carries just a fraction of the health risks that cigarettes do. Face to face support: free advice from experts. This allows you to stay on track with support and encouragement. Social media: Stoptober has a strong social media community behind it, and their Facebook page gives you the opportunity to chat with others and share your progress or tips. Daily support: A daily email throughout your journey will provide you with advice and tips for staying focused on your goal. The main reason to quit smoking is, of course, to improve your health. Smoking significantly increases your risk of heart attack, stroke and many fatal forms of cancer. (You can read more about the dangers of smoking here.) However, the good news is that no matter how long you’ve smoked for, quitting can help to improve your health immediately. Quitting smoking improves not only your health, but the health of those around you. By reducing the amount of second-hand smoke your loved ones are inhaling, you will reduce their risk of developing asthma, meningitis and cancer. You’ll also save money when you quit. If you currently smoke a packet a day costing roughly £10, taking part in Stoptober could save you as much as £300! Yes, it can. Champix is clinically proven to be the most effective prescription treatment for stopping smoking, and it has the highest success rates when compared to other medications. In fact, clinical studies have found that Champix users were twice as likely to give up smoking than those who used no medication. By using Champix alongside some of the methods outlined above by the Stoptober campaign, you can increase your chances of quitting smoking this October even further. Champix is available from Express Pharmacy. If you have any further queries about stopping smoking, don’t hesitate to get in touch with our team today. Call us on 0208 123 07 03 or use our discreet online Live Chat service. How Much Damage Can Smoking Actually Cause? Although the number of active smokers in the UK has dropped significantly in the last decade, 9 million Brits still smoke cigarettes regularly. It’s no secret that this isn’t good for your health, but the extent of the damage is truly sobering. Smoking is biggest cause of preventable deaths in England alone, accounting for more than 8,000 deaths a year. In fact, 50% of smokers will die from a smoking-related disease. Understanding the damage caused is one way to encourage smokers to kick the habit for good. Lungs top the list of most affected organs when it comes to smoking. And the infamous ‘smoker’s cough’ is just the start. 84% of deaths from lung cancer and 83% of deaths from chronic obstructive pulmonary disease (COPD) are the direct result of smoking. Tobacco smoke can also cause other fatal diseases such as emphysema and pneumonia. Poisons from the tar in your cigarettes make their way into your bloodstream when you smoke, and these poisons can consequently make your blood thicker, increasing the chance of clots. The result of clotting is that blood pressure and heart rate can increase as the arteries narrow. All of these factors increase your risk of suffering a heart attack or stroke. Smoking increases your risk of having a stroke by 50%, which in turn can lead to brain damage or even death. This is mainly because smoking increases your risk of having a brain aneurysm, caused by a weakness in the blood vessel wall. However, within five years of stopping smoking, a smoker’s risk of stroke is the same as that of a non-smoker. The damage smoking causes to your blood circulation can in turn cause significant damage to your heart, increasing your risk of conditions like coronary heart disease, heart attack, peripheral vascular disease, cerebrovascular disease and stroke. Carbon monoxide from the smoke and nicotine also puts a strain on your heart by making it work at an increased rate. Your risk of experiencing a heart attack doubles when you smoke, but this risk is reduced by half after just one year of being smoke-free. Smoking may cause bad breath and stained teeth, but this is only the beginning of the problems in the mouth and throat. Gum disease is a common consequence of smoking, while cancers of the lips, throat, tongue and oesophagus are also widely seen in heavy smokers. In fact, 93% of oropharyngeal cancers (cancers of the throat) are caused by smoking. For men, smoking can be a key cause of impotence. It can also damage sperm, reduce sperm count and lead to testicular cancer. Around 120,000 of UK men in their 20s and 30s are impotent due to smoking. For women, smoking can reduce fertility, with figures revealing that smokers are three times more likely to take over a year to conceive. Smoking can make you more prone to acid reflux, as well as significantly increasing your chance of getting stomach ulcers and cancers. Research has also shown that if those who regularly smoke ten cigarettes a day are 1.5 times more likely to develop kidney cancer compared to a non-smoker. Even bones can be affected by smoking, as smoking cigarettes causes the tissue of the bones to weaken and become brittle over time. This is more common in women, who are more likely to suffer from conditions like osteoporosis and therefore need to take extra care. Champix is an effective smoking relief medication from Express Pharmacy. Get in touch today for more information on 0208 123 07 03 or by using our discreet live chat service. Autumn is officially upon us, which means it’s the start of campaign season. 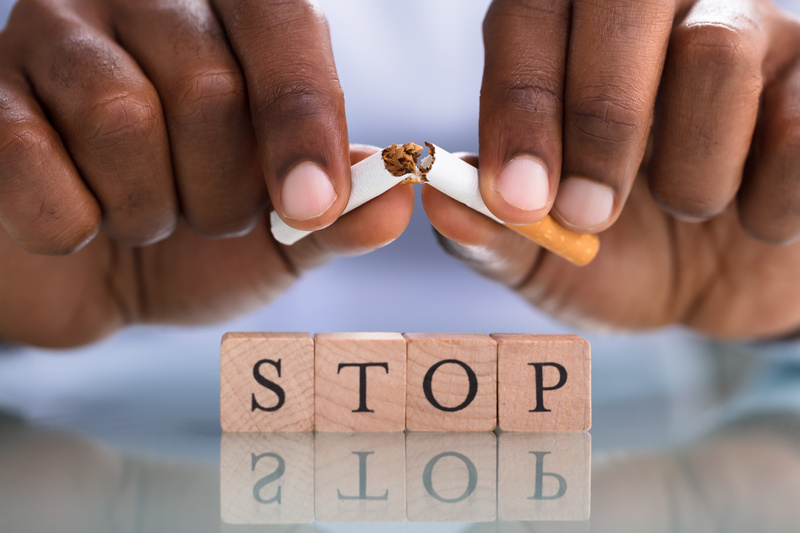 One of the best known and, perhaps, most challenging is Stoptober – a month-long programme to help individuals find effective ways to stop smoking. So here’s all the information on Stoptober you need, as well as advice on making your Stoptober a success. Why is Stoptober so important? Despite constant health warnings and ever-tougher regulations on cigarette packaging, around 9 million adults in the UK still smoke regularly. Smoking is seriously detrimental to long-term health, greatly increasing your likelihood of developing life-threatening conditions like cancer. 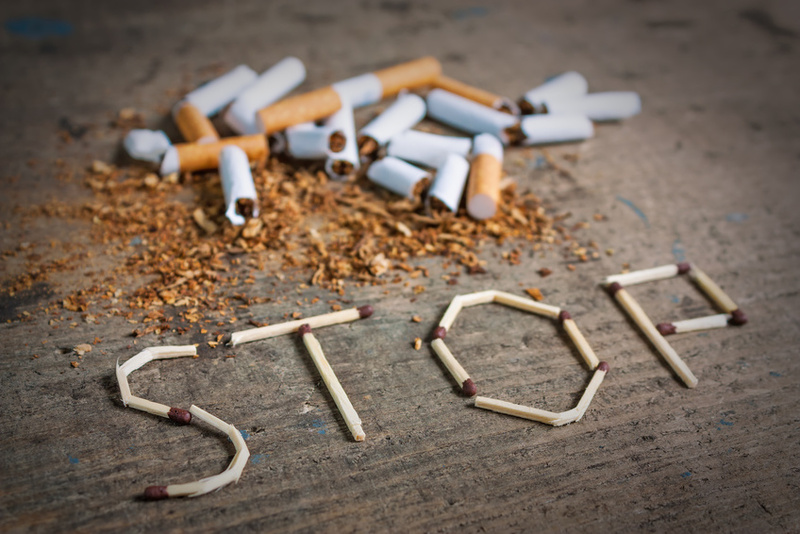 Over 28 million people are thought to have kicked their smoking habit during Stoptober in recent years. Statistically, those who make it through the entire month and get past the worst of the craving stages are five times more likely to continue on through November and quit for good. There’s plenty of information on Stoptober to help you through the process, including fact sheets, email support and even a free app. What should you do to quit for good? Many of the people who smoke regularly today would like to quit for good, but wanting it and doing it are two completely different things. Considering these different areas will help you find effective ways to stop smoking that actually work for you. Researching the available information on Stoptober can inform you of helpful sources of motivation and encouragement which you otherwise might not have been aware of. It’ll also help you feel less alone throughout the process, and highlight for you the importance of what you’re doing in terms of your long-term health. 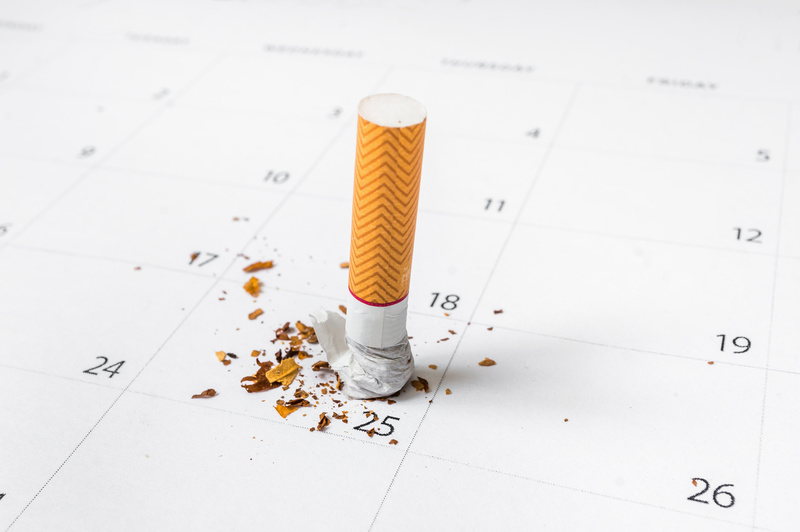 Reminding yourself of the damage smoking can do is one of the clearest ways to motivate yourself, and there is plenty of evidence and information available. If you rely on smoking for relief, finding effective ways to stop smoking and sticking to them can feel like a miserable process. Rewarding yourself for a job well done is a great way of encouraging yourself to reach your next milestone. Use information on Stoptober to find what rewards work best. Things like your favourite food item at the end of the week, or buying a treat with the money you’ve saved are all good options, but find what works for you. Success means something different for everybody, and for some people one of the effective ways to stop smoking for good is to cut down gradually rather than quitting cold turkey. Looking at information on Stoptober tells you that the movement encourages you to ideally abstain from smoking altogether throughout October, but if you feel that cutting down gradually will give you a greater chance of success, then do what you think will work best for you. As long as you come out of it with a reduced reliance on smoking, you’ve found success. Express Pharmacy is here to provide advice and support throughout Stoptober. Call us, drop us an email or try our Live Chat service if you have any queries for our fully qualified team of pharmacists. How Do You Really Stop Smoking for Good? Quitting smoking is one of the hardest things to accomplish. But can a few simple changes make a big difference? If you vowed to kick the habit in 2017, you’ve made an important decision that could not only improve your health but also prolong your life. Tobacco is the single biggest cause of cancer in the UK, with over a quarter of all cancer-related deaths initially caused by smoking. Although the benefits of living a smoke-free existence can be a huge incentive for most people, actually staying away from cigarettes is easier said than done. All too often a moment of weakness sees people falling back into their old routine. One of the easiest ways to stop yourself from smoking is to spend time in places where it’s legally not allowed. Whether that means spending your afternoons in cafes, galleries and museums, or simply sitting in the office during the week, finding spaces where you’re not allowed to smoke is a good way of weaning yourself off the habit during the early stages of trying to give up. This is also true when you’re out for the evening. Think in advance about whether you are likely to find yourself in an environment where people will be smoking or whether you can find a temptation-free bar or restaurant environment. Smoking is something people do habitually, and that means there are probably certain things you associate with it. For some people it’s lunch because that’s when they normally go outside for a cigarette, for others it’s coffee because they usually consume the two together. Try to pick up on what little reminders still linger in your life and take steps to separate yourself from those particular cravings. For many people, alcohol and smoking go hand in hand. This is particularly dangerous, as alcohol alone has been found to cause mouth and liver cancer, and studies show that together alcohol and smoking are much more detrimental to your health than either of them are alone. Quitting smoking is a big task to undergo. Breaking it down into smaller goals helps make it seem much more achievable and, in many instances, can be more effective in helping you to kick the habit than trying to go cold turkey. At the start of each week, give yourself a point you want to be at by the end of the week. Examples like ‘cut down to five cigarettes a day’ or ‘make one pack last the week’ work well as realistic goals to aim towards. And don’t forget to reward yourself when you reach your goal, too! Think of the things you like that aren’t related to smoking, and indulge yourself after a job well done. Sometimes you just need someone to talk to, but discussing quitting smoking with family or friends can be uncomfortable. Helplines are there to give you honest help and support so you feel a little bit less alone in your struggle. In 2014, over half a million people managed to quit smoking through NHS Stop Smoking Services. These services are there for a reason, so don’t ignore them. Express Pharmacy offer expert advice and approved treatments to help ease your journey to a cigarette-free life. Champix is an effective nicotine-free medication for reducing cravings and relieving feelings of withdrawal. Our simple online ordering system is quick, discreet and safe. If you’d like to find out more about the medications we prescribe, use our Live Chat service today. First there was Movember, now Decembeard. Yes, it appears that all manner of facial hair is taking on one of the biggest killers – cancer. Raising awareness about the different types of cancer is a vital part of moving society towards both early diagnosis and, we hope, a cure. As Decembeard is now upon us, we thought we’d explain this next facial hair frenzy, this time raising awareness for bowel cancer, and provide an essential guide to how you can get involved and why it is a cause worth fighting for. 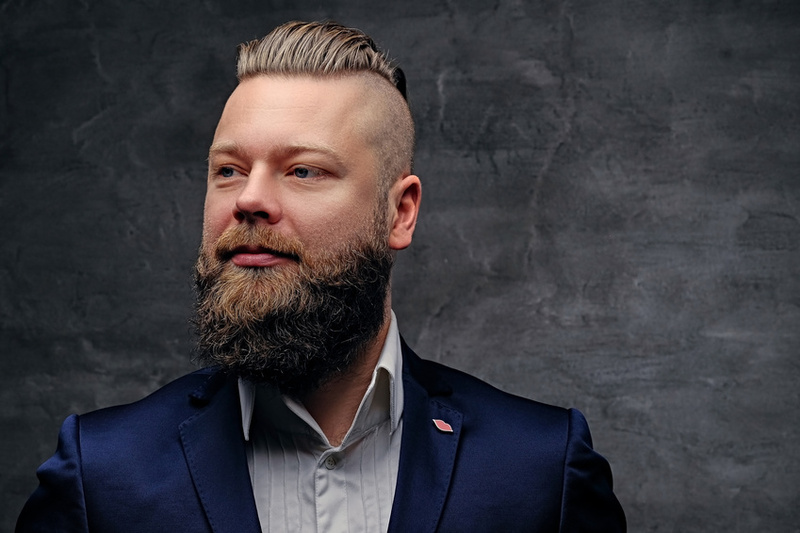 An initiative launched by Beating Bowel Cancer, a charity that provides practical and emotional help to everyone affected by bowel cancer, Decembeard encourages all who get involved to grow a beard during December to show their support and in turn raise awareness and funds. Bowel cancer is this country’s second largest cancer killer and someone loses their life to the disease every 30 minutes. The lack of awareness around the disease’s signs and symptoms means that unfortunately this statistic isn’t set to get any less shocking, but thanks to Beating Bowel Cancer and Decembeard everyone can do their part in turning this around. Bowel cancer is diagnosed every 15 minutes in the UK, and if diagnosed at an early stage 9 out of 10 cases can be treated successfully. Growing a beard during Decembeard, or supporting someone who is, ensures that the message about bowel cancer symptoms can be spread further and the funds that are so essential to Beating Bowel Cancer as the UK’s only nurse-led specialist helpline for the disease can be raised. Seeking help or advice from a medical professional as early as possible is the key to treating most forms of cancer successfully, and the same is true with bowel cancer. Many of the symptoms associated with bowel cancer however are often written off as the signs of other, less serious ailments but if the following symptoms do persist for up to three weeks then seeing your GP is important. According to the NHS, approximately 1 in 20 people in the UK will develop bowel cancer. High risk individuals include those over 60 years of age and individuals with a family history of the disease, however diets that are high in red or processed meat, obesity and high alcohol consumption have been linked to the development of bowel cancer. Choosing a diet that is high in fibre and low in red and processed meats, limiting alcohol consumption, maintaining a healthy weight and increasing physical activity are just some of the ways to lower your risk of bowel cancer. Smoking is also linked to many cancers, including bowel cancer, so taking steps towards a smoke-free, healthier lifestyle is highly recommended. At Express Pharmacy, we stock stop smoking treatment, Champix, a medication proven to increase the chances of quitting, relieve cravings and reduce the body’s dependency on nicotine. Getting involved in Decembeard couldn’t be easier, and a number of famous faces, including rugby legend Ben Cohen MBE, football legend George Cohen MBE, actor Stephen Mangan, SAS: Who Dares Wins stars Foxy and Ollie, and director Kay Mellor, are leading the way. Sign up to fundraise via the Decembeard website and access countless fundraising ideas, downloadable resources and inspirational real stories.